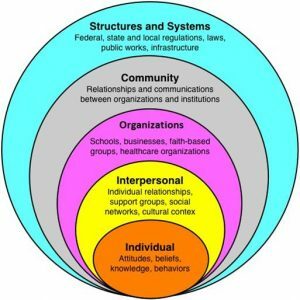 The factors that influence and impact health including social/cultural structures. In this session, we will consider how the relationship between gender and health by examining the historical and present-day influences of sexism and cissexism on disparities in health status and care. Gender, like race, is considered a “master status” in US society: one of the first things we notice about someone is their gender and gender is central to our perceptions of self and our attribution of characteristics and qualities to others. Medicine is not immune to these social influences and in many ways, has perpetuated inequities based on gender. To gain an understanding of the relationship between gender and health, please complete the following before class. It is recommended that you read/watch and take notes as you complete the following three activities. How might this impact diagnosis and treatment of depression or other mental illness in adults and older adolescents in the primary care setting? Think about what you have learned in other EHM talks, and in your physiology courses. How might this also impact the development of other illnesses such as cardiovascular disease? Suggested: Consider the research on social isolation among baby boomers. As adolescent and young men age, what might this mean for health status and care throughout the life course? What is your gender identity? How do you know this about yourself? What does this identity mean to you? Imagine not being able to see your anatomy or chromosomal makeup. Pause and reflect on how this does and/or does not impact your identity? Intersectionality is defined by sociologist and legal scholar Kimberlé Crenshaw as, “the interconnected nature of social categorizations such as race, class, and gender as they apply to a given individual or group, regarded as creating overlapping and interdependent systems of discrimination or disadvantage.” Recalling your sessions on race, how is intersectionality at play in this essay? This entry was posted in Interactions, Populations, Social Determinants of Health on February 8, 2019 by somehm. In this session, we will continue learning about the social determinants of health with a focus on social class and neighborhood effects. Students were introduced to social class/classism as a fundamental cause of health inequity in Week 1. This week, we expand on the SES-health relationship by describing what it is about social class that effects health both in relative and absolute terms. We also cover key aspects of environments and theories of how environmental conditions affect health. We close by offering anecdotes from faculty and community members on risk factors, protective factors, resilience, and prevention. READ: The Social Determinants of Health: Coming of Age. Read What is Health by Fiona Godlee (2011), BMJ. The goal for this activity is to introduce students to two definitions of health. Students should take notes and reflect on the reading. Students can also research definitions of health. This entry was posted in Social Determinants of Health on August 31, 2018 by akost. Watch Nadine Burke Harris’s TED talk that introduces key concepts about Adverse Childhood Experiences and how they impact health. Context and Instructions: Dr. Nadine Burke Harris explains how incorporating an understanding of the frequency and effects of adverse childhood experiences (ACES) can impact medical practice. Goal: Apply the concepts of toxic stress and adverse childhood events to the cycle of interpersonal violence, and identify opportunities for clinician intervention. Context and Instructions: In this JAMA article, Sumner et al explore the epidemiology of interpersonal violence, the effect of childhood exposure to violence on lifetime risk of violence and adverse health, and opportunities for community and clinician intervention. Goal: Describe the proposed pathophysiologic mechanisms of toxic stress’ effect on health across the lifespan and the mediating effect of known resilience factors. Context and Instructions: In this Pediatrics article, Shonkoff et al, delve into the science of toxic stress on the developing brain and the moderating effect of resilience factors. Based on this science, they propose an “ecobiodevelopmental framework” from which the clinicians of the future should approach primary care. Original ACEs study: Felitti VJ, Anda RF, Nordenberg D, et al. Relationship of childhood abuse and household dysfunction to many of the leading causes of death in adults. American Journal of Preventive Medicine. 1998;14(4):245–258. doi:10.1016/s0749-3797(98)00017-8. Goal: For students who want to read the Kaiser study that introduced the idea of ACES and the impact on health. A caveat that some language in this original paper (“family dysfunction”) would not be used in the trauma informed care environment that this work ultimately produced. This entry was posted in Communities, Health Equity, Interventions, Social Determinants of Health on March 30, 2018 by mspin. researchers need to acknowledge that social conditions are not just distal causes of disease, they are FUNDAMENTAL causes, meaning that the relationship between the social conditions (e.g., SES) and health is robust and will remain present even as the risk factors for disease and the leading causes of disease/death change. This is because high SES individuals are afforded flexible resources that they can use to avoid risks and minimize the consequences of disease. Frieda, Misha. 2016. “For Native Americans, Health Care Is a Long, Hard Road Away”. This entry was posted in Diversity, Interactions, Populations, Social Determinants of Health on January 2, 2018 by mspin. It is important to recognize that over the course of one’s life there are exposures that can put someone at advantage or disadvantage regarding health risks. This is true for stroke. What are the upstream exposures? How can we explain these exposures and their health consequences to others including our patients? 1. Review risk factors for stroke at link (Links to an external site. )Links to an external site..
2. Explore the CDC website: Interactive Atlas of Heart Disease and Stroke (Links to an external site. )Links to an external site. How does the WWAMI compare to the rest of the country with regards to stroke prevalence and death from stroke? What does the prevalence of stroke look like in your Foundations WWAMI state? When looking at your WWAMI state, are there disparities among individual counties? Are there risk factors, social and economic characteristics, health behaviors, or access to care measures that you find surprising for your Foundations state and its individual counties? Use data and filter options to see disparities within individual counties. 3. Read the “Future Directions” section (pages 887-888) pdf which is extracted from Harvanek et al. Social Determinants of Risk and Outcomes for Cardiovascular Disease: A Scientific Statement From the American Heart Association Circulation 2015 (Links to an external site. )Links to an external site. (link for those who want to read the entire article) about social determinants of health and their impact on cardiovascular disease. Cardiovascular disease risk is often used as a surrogate for stroke risk. 4. Come to class prepared to think about influences on a person’s risk of having a stroke (remember that the impact is multi-factorial) and be prepared to discuss the article. In particular, how might physicians communicate inequities within risk factors that lead to disparities for strokes and their outcomes. 5. Read Perzynski et al., Informing Policy for Reducing Stroke Health Disparities from the Experience of African American Male Stroke Survivors 2015 and think about how one can improve stroke health disparities as a society and as an individual physician. During the session you will be divided into smaller groups. Each of small groups will be provided with a clinical vignette highlighting a patient diagnosed with a stroke. Keep the following concepts in mind. 1. Over a life course there are various pathways to health and disease. 2. There are effects of exposures, with cumulative interplay and effects. What elements of the individual’s history suggest possible positive and negative pathways and exposures? If you were to write the fictional (but realistic) story of the individual’s life, what other possible positive and negative pathways and exposures can you think of? Do NOT stereotype the individual. DO think of the complex interplay of factors throughout the life course, and the influence of factors at all levels of the social ecological model. Use the case as a sketch, and paint the rest of the picture. What factors, if present in the case, or worth exploring, might have put this person at increased risk for stroke? What factors might influence the likelihood of surviving the stroke? This entry was posted in Global, Population and Public Health, Social Determinants of Health on October 8, 2017 by mspin. After reading the articles, write a short reflection that includes the following, and upload it to the pre-class quiz on Canvas. What is one finding in each article which surprised you? Why? What is one thing you have a question about? How and where will you seek answers to your questions? One of the studies noted in the first article mentioned that some Native patients have an ‘expectation of empathy.’ The Native patients “expressed the conviction that it was the provider’s role to perceive and experience the patient’s pain in order to treat it” without the patient having to describe their pain in detail. What do you think about this? Do you believe this is possible across cultural beliefs and practices? Why or why not? In the field of medicine you are particularly interested in, how might historical trauma express itself in a patient’s life? What would be some possible physical, psychological or emotional manifestations? Do you think historical trauma is different or the same as social determinants of health? How did Chaplain Joisky negotiate her care with her physicians? As a provider, how might you offer opportunities for your patients to negotiate their treatment with you? What would you do, say or ask? The Medicine Wheel (12 min) as a framework for understanding and assessing health and wellness. What are ‘positive’ stereotypes about Native Americans/Alaska Natives? Why are they harmful? What is your reaction when you hear Chaplain JoiSky’s definitions of medicine and health? How would you know if your patients defined these concepts differently than you do? Why might that be important to be aware of? There is mention that some Native people may understand illness and pain as manifestations of sickness of soul or as something which happens as a result of something a person was meant to do but hasn’t done. How would you work with patients who hold beliefs such as these? Would their beliefs change how you would provide care for them? Students will work in small groups to discuss the case story with a community consultant. Small groups should designate a member to write up a brief summary of their discussion with guest consultant (please include in your summary who your guest was, and the names of the people in your group). We will reconvene as a large group for report out. Please sign in for attendance of small group. This entry was posted in Diversity, Health Equity, Social Determinants of Health on October 8, 2017 by mspin.